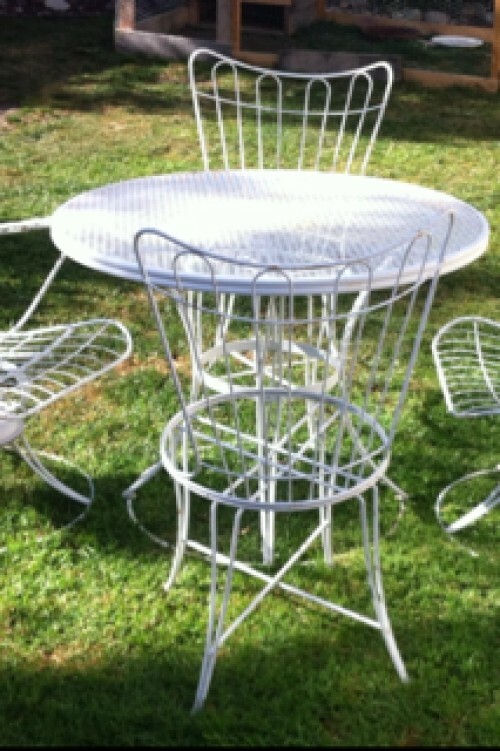 Table and 4 wing back wire metal chairs. Could be Salterini or Homecrest, I am not sure. 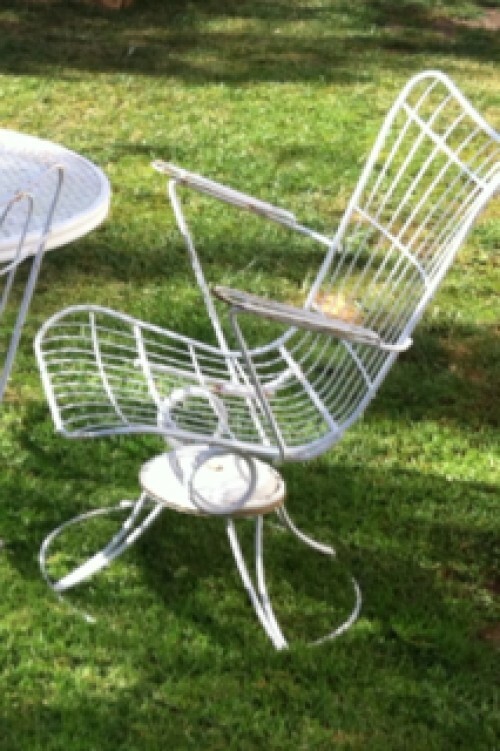 All the chairs are in good structural condition, they do have normal minimal rust and wear. 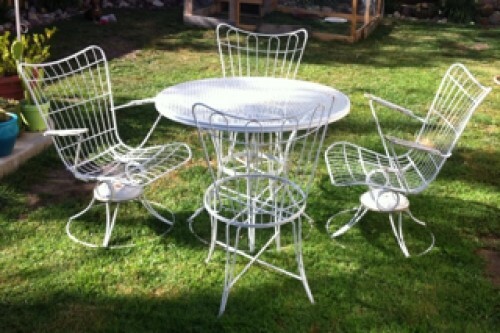 The bases are spring loaded, swivel and are easily removable. 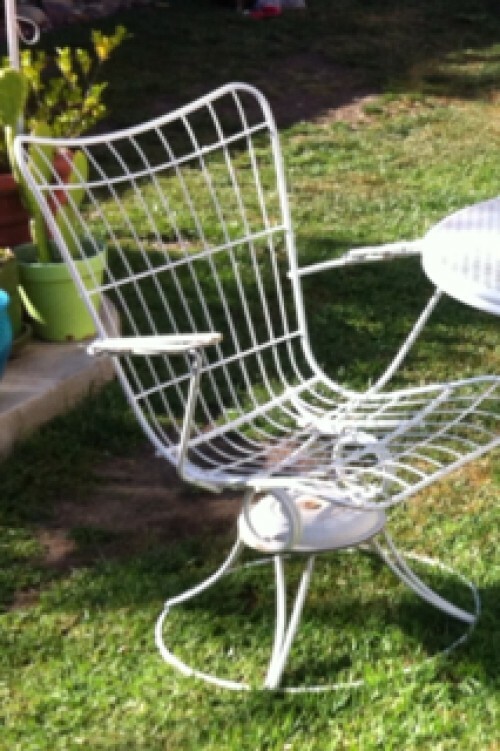 This is a great addition to any Mid Century Modern Home, Please see all pictures.